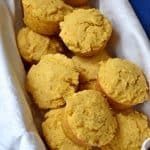 Savory Gluten Free Cornbread Muffins, filled with robust corn meal flavor, make a hearty side dish for your favorite chili, soup, or stew. These sturdy corn muffins are perfect for soaking up all the tasty goodness of your main dish. 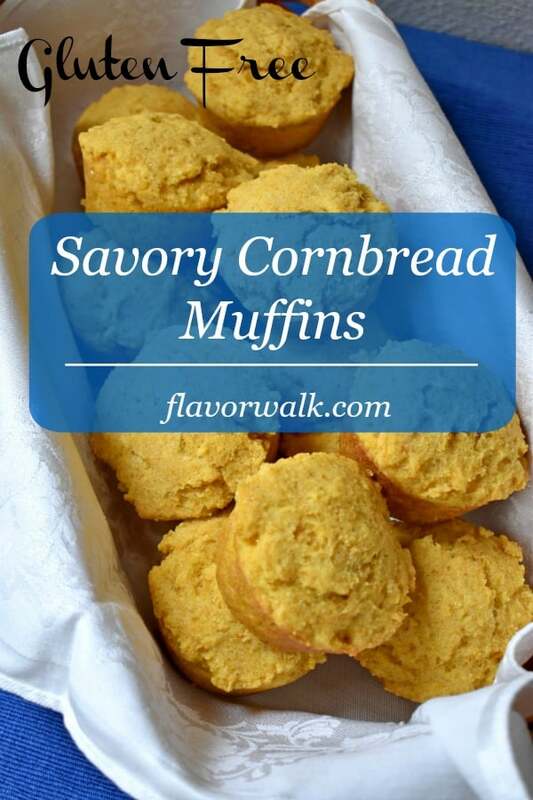 Previously when I shared my recipe for easy sweet cornbread muffins, I mentioned I’d be sharing this recipe for savory cornbread muffins at a later date. 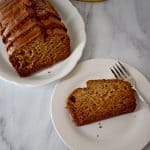 It took me longer than I thought it would, but I finally had a chance to get this recipe posted. 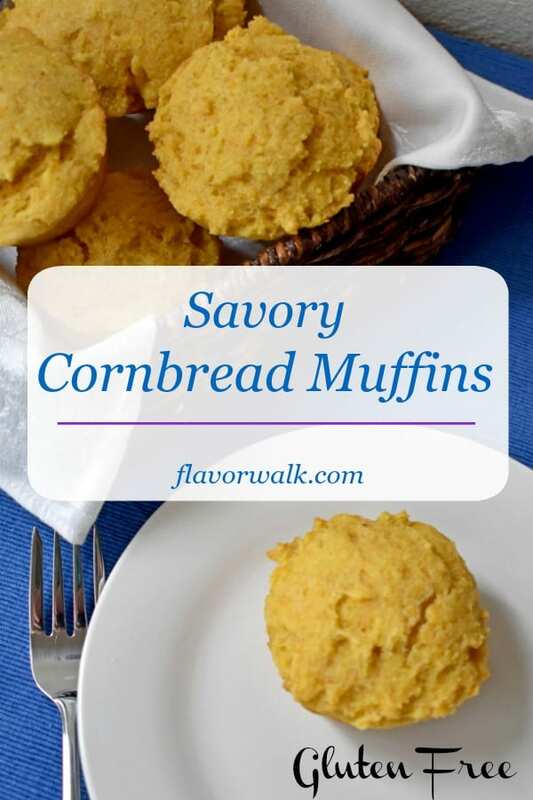 These savory cornbread muffins require a few more ingredients, and also take a little longer to prepare than the sweet corn muffins. 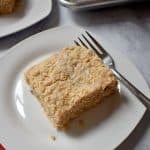 If you want quick, light, and fluffy, this recipe isn’t for you. But, if you prefer a more substantial muffin, and have a few extra minutes available for the prep, you’ll want to give this savory version a try. Similar to the prep for most muffins, you start by combining almost all of the dry ingredients in a bowl and whisking them together. Then you cook 1/2 cup of the corn meal with the milk in the microwave (or on your stovetop, if you don’t have a microwave) until it thickens. 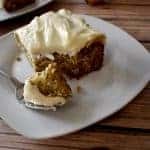 Once the corn meal has thickened you add the sour cream, melted butter, and sugar and whisk together. Then you’ll whisk in the eggs until combined. Pour the wet ingredients over the dry and stir together until completely combined. 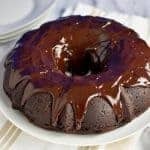 (Note: You don’t have to worry about over mixing the batter.) Divide the batter between the prepared muffin cups and bake for 15 to 18 minutes in a 425-degree oven. Cool the muffins in the pan for a few minutes before removing to a wire rack. 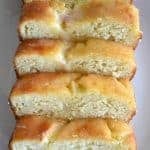 These cornbread muffins can be enjoyed warm or at room temperature. 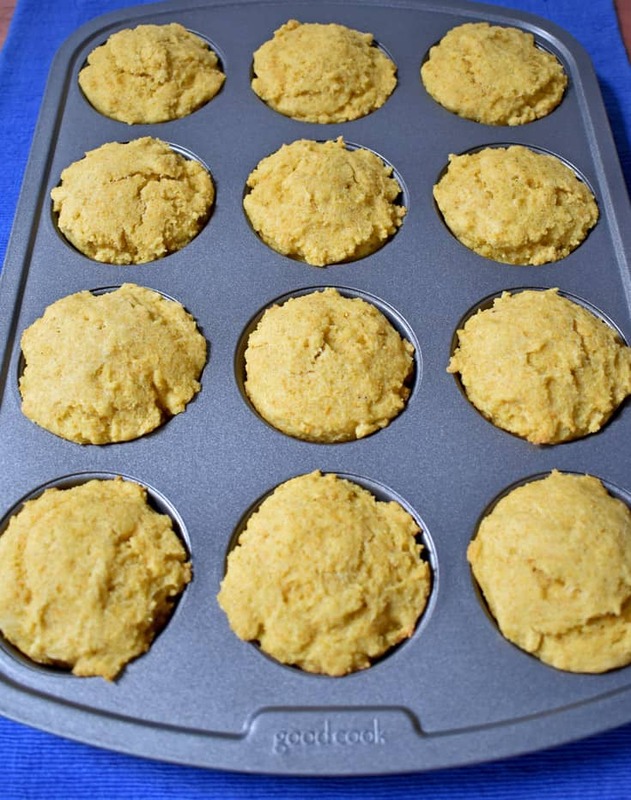 The generous amount of corn meal, mixed with the gluten free flour, gives these savory gluten free cornbread muffins a hardy appearance. 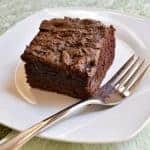 Rather than muffin tops that are perfectly round and smooth, these have a more uneven, rustic look. 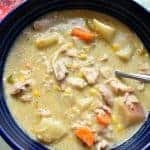 I like to serve these muffins with slow cooker chicken and corn chowder, and hearty and flavorful beef stew. 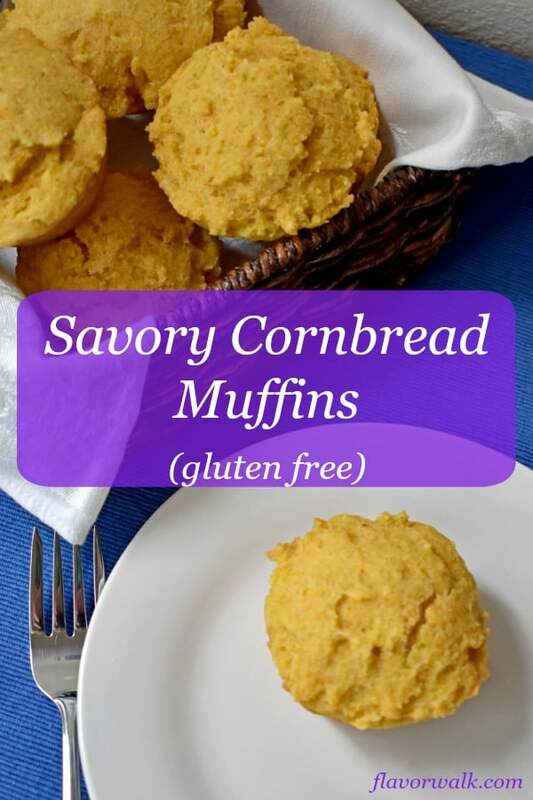 If you’re looking for a hearty side dish to serve with your favorite chili, soup, or stew, give these Savory Gluten Free Cornbread Muffins a try. Enjoy! 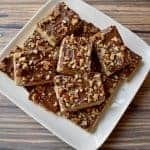 If you like this recipe, follow my Gluten Free Breads and Muffins board on Pinterest. 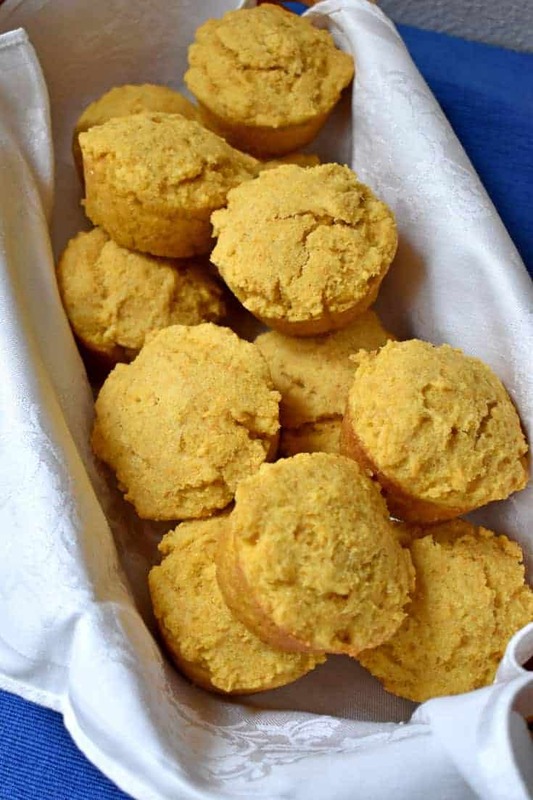 Savory Gluten Free Cornbread Muffins, filled with robust corn meal flavor, make a hearty side dish for your favorite chili, soup, or stew. Preheat oven to 425 degrees and grease a 12-cup muffin pan. In a large mixing bowl, whisk together 11/2 cups cornmeal, gluten free flour, xanthan gum, baking powder, baking soda, and salt. Add the sour cream, melted butter, and sugar to the milk mixture and whisk until combined. Add the eggs and whisk to combine. Pour the wet ingredients over the flour mixture and stir until completely combined. Divide the batter among the 12 muffin cups. 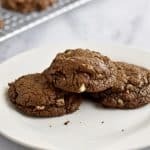 Bake about 15 to 18 minutes until the muffin tops are lightly browned and a wooden pick inserted in the middle comes out clean Rotating the muffin pan halfway through the baking time will allow the muffins to cook more evenly. Allow the muffins to cool in the pan for several minutes before removing to a wire rack to finish cooling. Can’t go wrong with yummy cornbread muffins! I could make a meal just out of these muffins. Can’t stop at just one, or two, or three……. Very good.